Little Carla does not move as fast as the other children in school. Instead of helping her, they separate her from the games. Soon she is forced to stay in a cage built by the school to keep her safe from the running and playing in the playground. This only makes her feel more left out. If all of us are different, why keep Carla apart? Can her brother Alex make the others see that everyone is different in his own way? 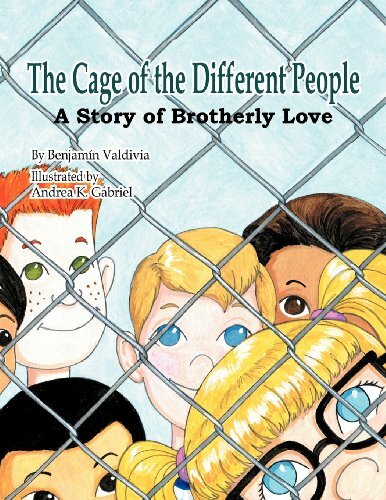 Share with your kids just how wonderful it is to be unique with author Benjamin Valdivias vibrantly illustrated book, The Cage of the Different People. Many of the pages have an optional Paint Me feature for children to finger paint the pages and create their own custom version of the book. Additional features: Professional voice over, table of contents control to navigate easily through the book and an audio on/off control.